Mixing is one of the things that I really enjoy when deciding what to wear. Sometimes I feel like mixing a little bit and sometimes I love to go overboard. 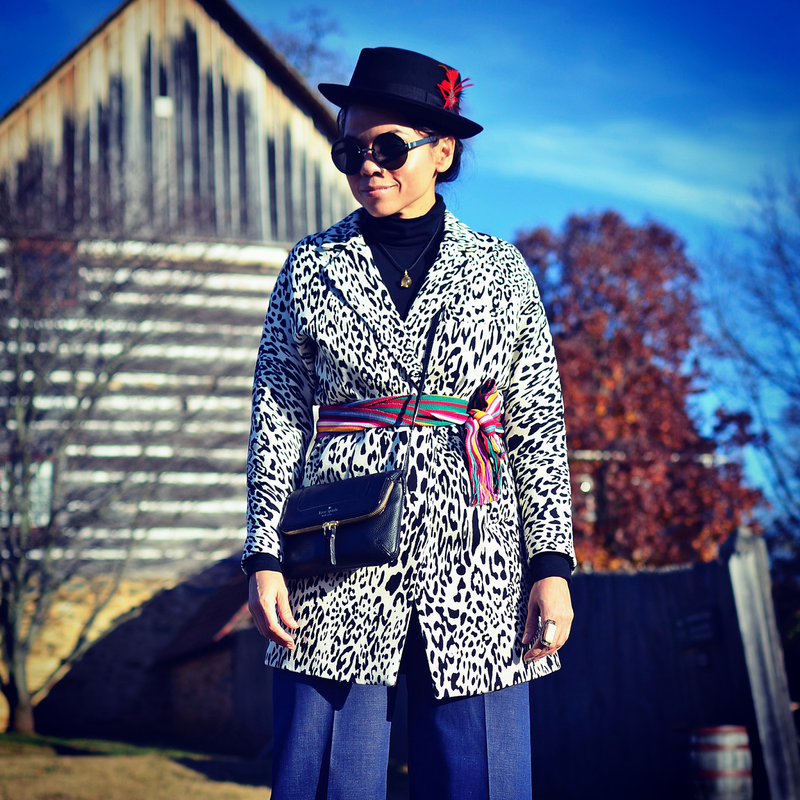 Combining pieces from difference eras, styles, colors, ethnicities and prints is the part of my personal style that I really have fun with it. Combinar es una de las cosas que disfruto en grande cuando llega el momento de decidirme que ponerme. Aveces me gusta hacer combinaciones pequeñas y a veces me gusta irme a los extremos. La Combinación de diferentes eras, estilos, colores, cosas étnicas o estampados es la parte de mi estilo personal que me divierte más. Now, this is a mixing right here ;-). These lovely ladies from Old Salem (near where I live) and most of the people that work in the town, dress up like the Moravians used to dress back in the 1700's. They're a great source of fashion inspiration (mainly when picnic weather kicks in) and life style as well, and the food is wonderful here. Hablando de combinaciones!!! Estas lindas señoras de Old Salem (cerca de mi casa) y la mayoría de las personas que trabajan aquí, se visten como las personas Moravians lo hacían en los anos 1700. El estilo de vida y el vestuario de ellos (principalmente en el tiempo de picnic) es una gran inspiración, también la comida es fantástica. Coat/Abrigo: Zara (also worn HERE). Check this Asos version out. racias Lubita!! Tan linda como siempre. Asi es Luba, la vida es muy corta para ponerse un look aburrido. Que interesante que algo tan trivial como la moda nos puede brindar tanta diversión y felicidad. Awesome mix, and love the story! The combination of items in this ensemble is brilliant! Thanks Nicolene! I am glad you like my fashion gumbo. Ah the last picture is making me smile, I love the contrast and spirit! You do have fun and enjoy seeing this. I like how you add just the right touches like this colorful belt. I think I've become a bit to conservative with my posts. You are inspiring me to change! Ann!! What are you talking about? Who is the one featured in Redbook magazine this month? I would not call your posts a bit conservative, I would call them classic and sophisticated and THAT is exactly what I love about your blog. Eres la reina de las combinaciones, nadie lo hace más fantástico que tú! 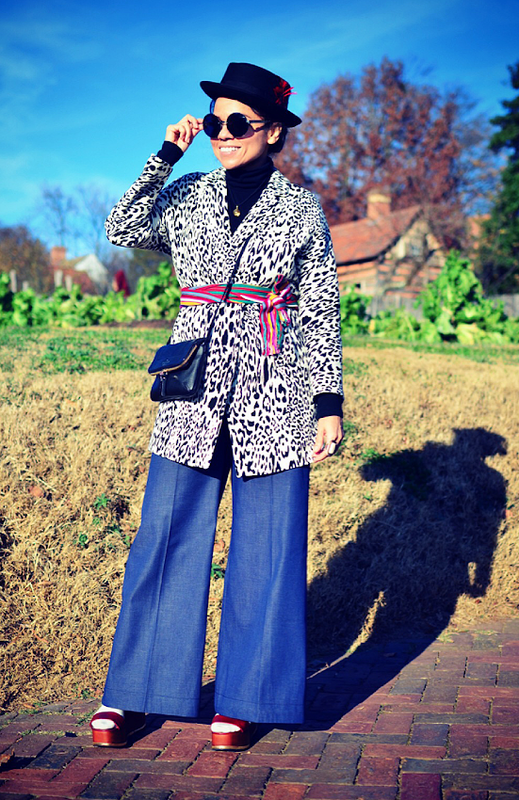 Genial como siempre, llevas los super wide pants perfectamente. Me encantaría visitar por allá, parece muy divertido e interesante! Gracias guapa!! Ya sabes, avisame si te dan ganitas de visitar esta area. Super!!! Laura me da mucho gusto conocerte. Ya me fui a pasear por tu blog y la verdad es que está fantástico. Tienes un estilo tremendo y un cabello precioso, pues tienes que se Hondureña…lol. Yo también te seguiré la pista bella. Muchos besos y abrazos tocaya. LOL…this girl love to have fun! I can't help it Niki. I grew up in between African, Mayans and Spanish culture, so the mixing comes from my roots ;-). Now, I am getting some serious inspiration from your own blog and the Indian culture. What a gorgeous culture! One day I will visit. Love your blog post title! You always make fashion fun, and today is no exception. Not only fun, but you look fabulous my dear! Great photos, and those greens look so yummy! Such a fun look! Really loving the pants and the pops of color. Loving your blog, btw. Thanks so much for your comment and for visiting!! I love the way you mix all these items which seem that they not work together. Instead…you are perfect! Lol...thanks, clashing is my thing :-). Thanks for visiting. 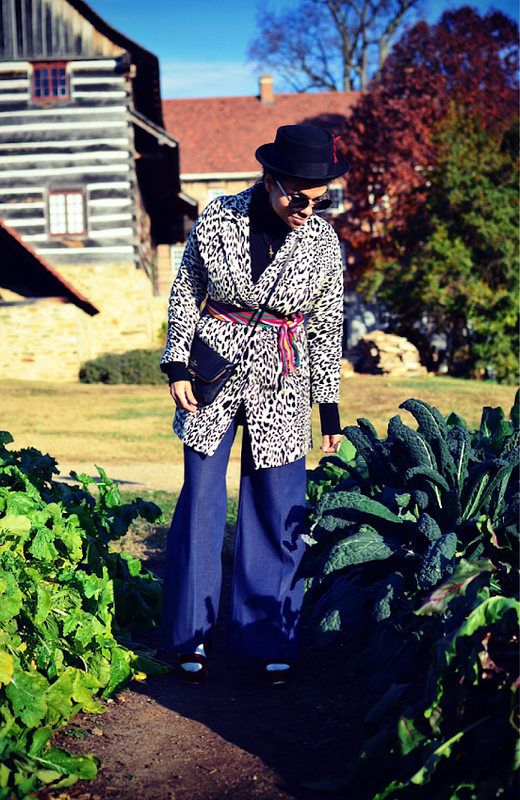 Thanks Marija, trying new things is what makes fashion fun. 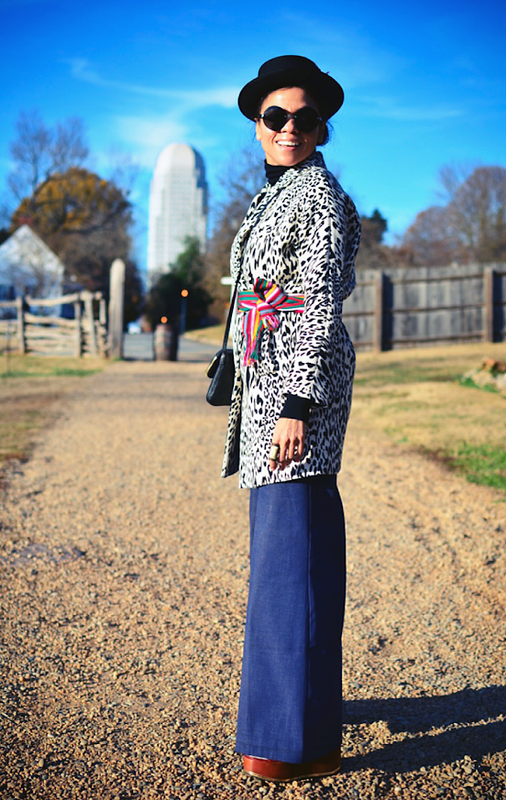 What a fun look, I adore the coat! I am glad you like it! Thanks!! WOW. 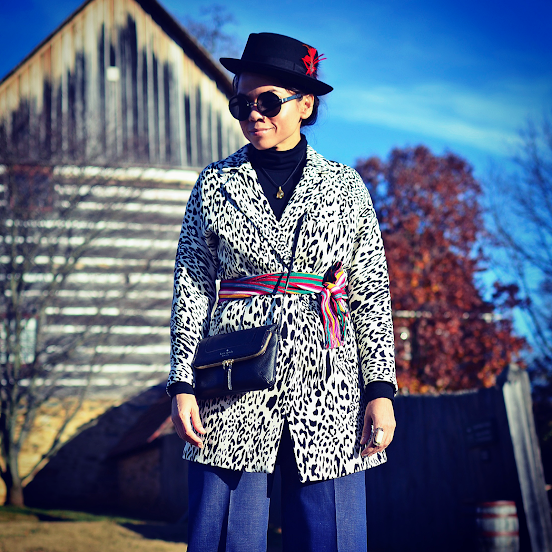 I am obsessed with your purse and those leopard coat! You are lookin' so amazingly chic! I love your look from head to toe ♥ Looks comfy too!! Thanks!! I purchased a while back on Kate Spade website. I can't stop wearing it, since it's so practical.